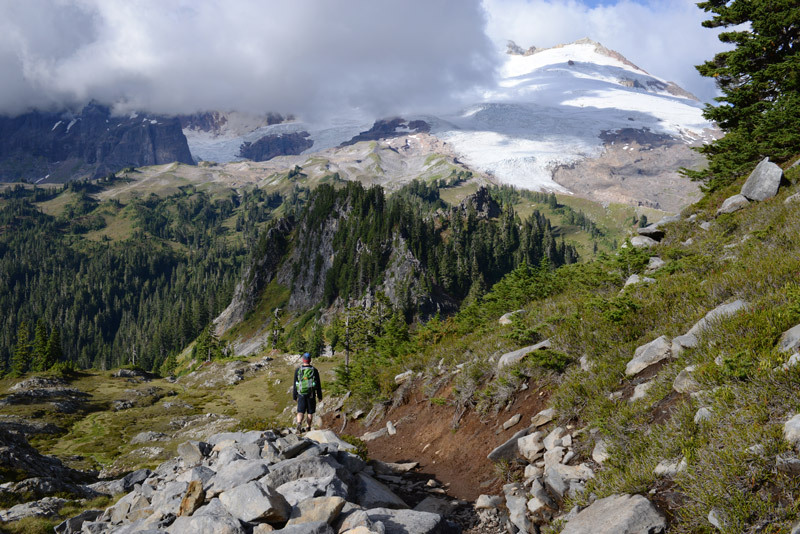 Park Butte Lookoutis located directly southwest of Mount Baker’s Easton Glacier, so close that from the lookout you can watch mountain climbers as they make their ascent. 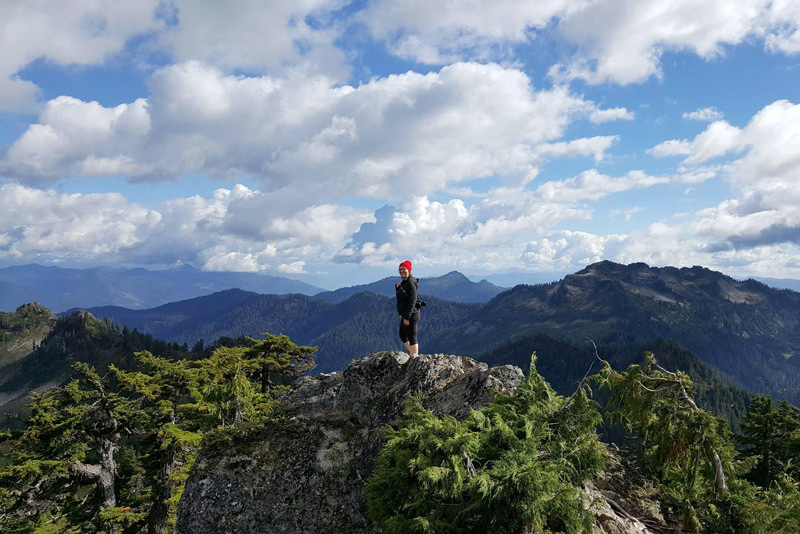 Although the elevation of Park Butte is not great, the drop-off between it and the slopes of Mount Baker give it the impression of being a much higher peak, and the lookout offers sweeping panoramic views of Mount Baker, the Twin Sisters, and the rest of the North Cascades. 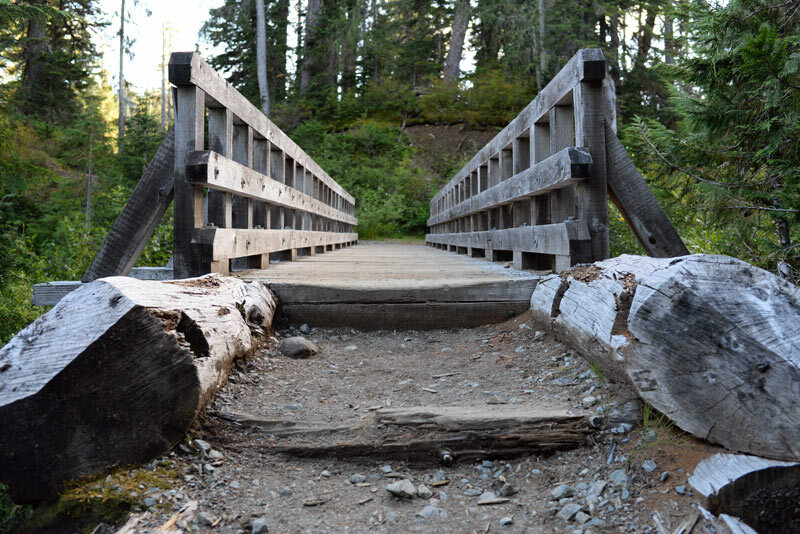 The trail to the lookout offers campsites, wildflower-filled alpine meadows, and waterfalls, and is one of the most popular hikes in the Mount Baker area. 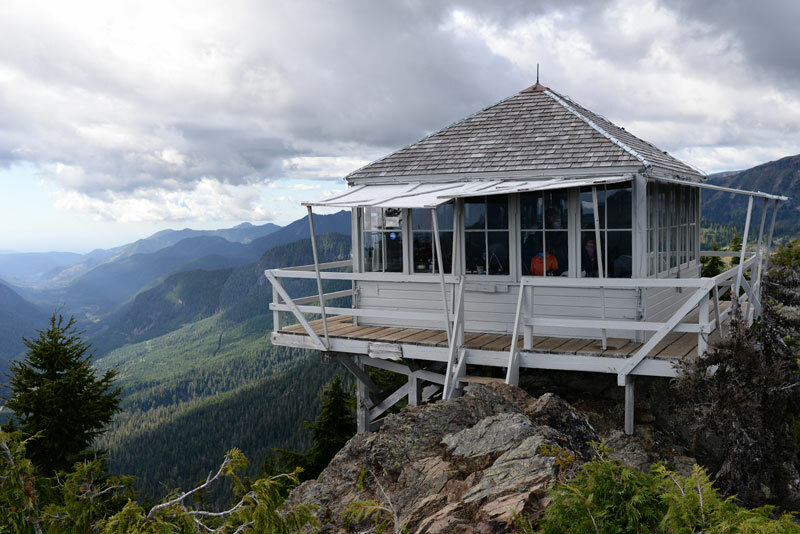 Park Butte lookout was built in the fall of 1932 by a small crew of Forest Service personnel including C.A. Larsen and William Thompson, whose names are imprinted in the lookout’s concrete foundation. 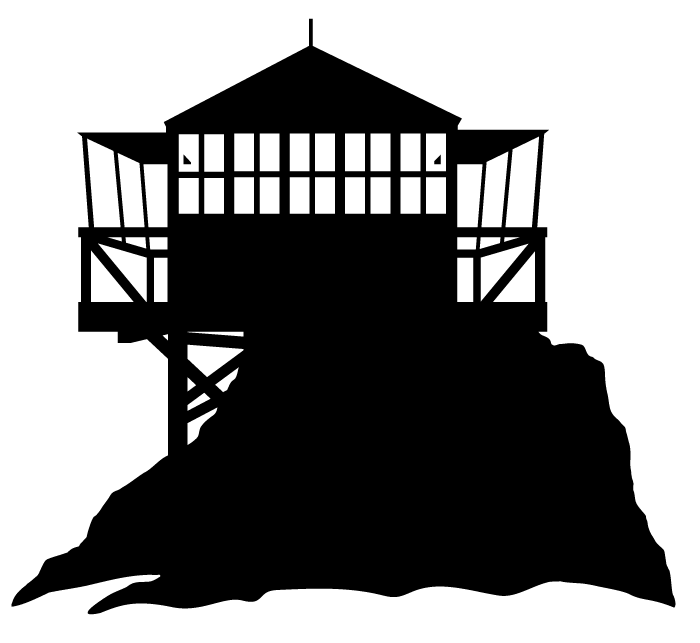 The one room, 14 x 14 foot L-4 cabin was built according to standard Forest Service lookout plans from 1932, with pre-cut materials packed in on a team of seven to eight pack horses. Approximately 20 trips were necessary to transport all of the materials from the Baker River Ranger Station to Park Butte. 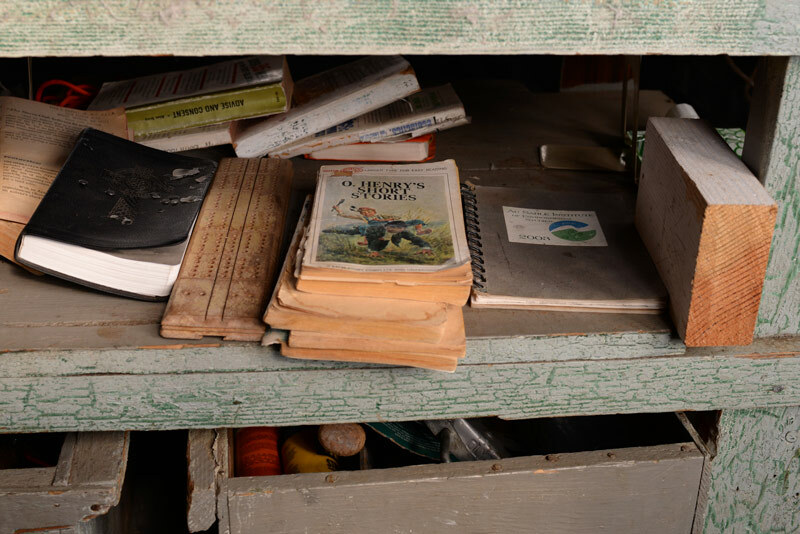 Fire report records from 1926 show that Park Butte was in use as a fire lookout site well before the construction of a permanent lookout house. The lookout camped in a tent below the summit and climbed a tall fir tree on the site in order to look for fires. The tree was removed during construction of the lookout house, but a portion of the roots still remain today, and are used to support the entry stairs to the lookout. 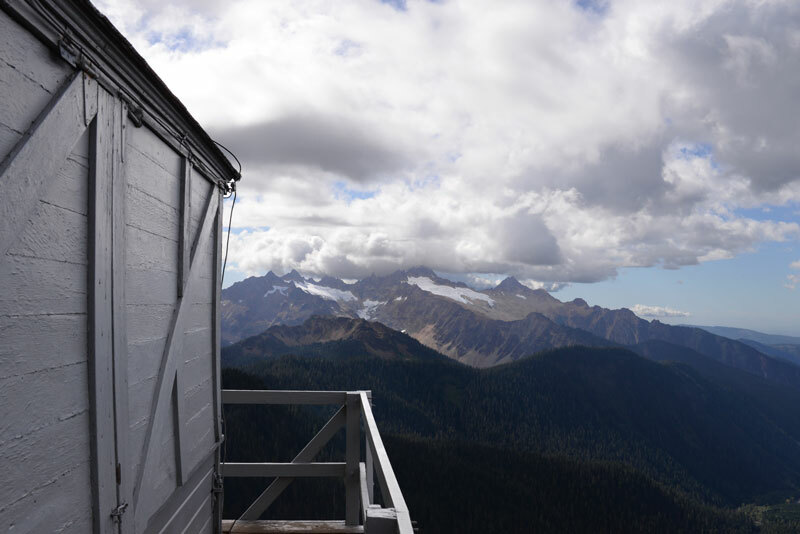 The lookout was in use until 1961, when it was abandoned by the Forest Service. 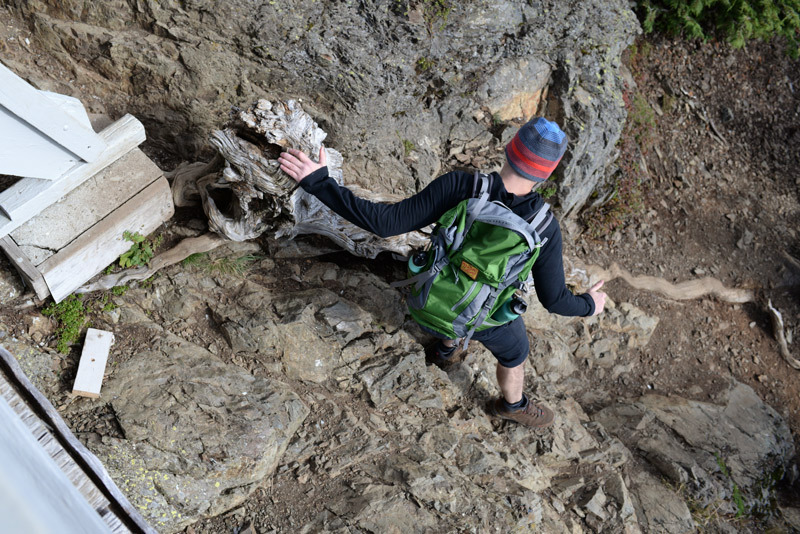 Since then, it has been carefully maintained by the Skagit Alpine Club and used for recreational purposes. When Mt. 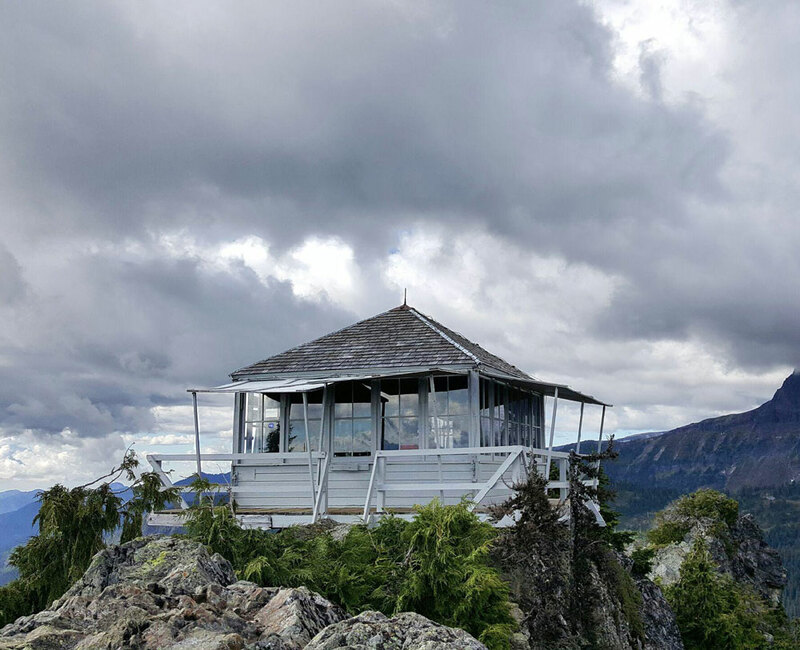 Baker threatened to erupt in the 1970s, the restored lookout served as an observatory for volcano monitors. It was added to the National Historic Lookout Register in 2003. 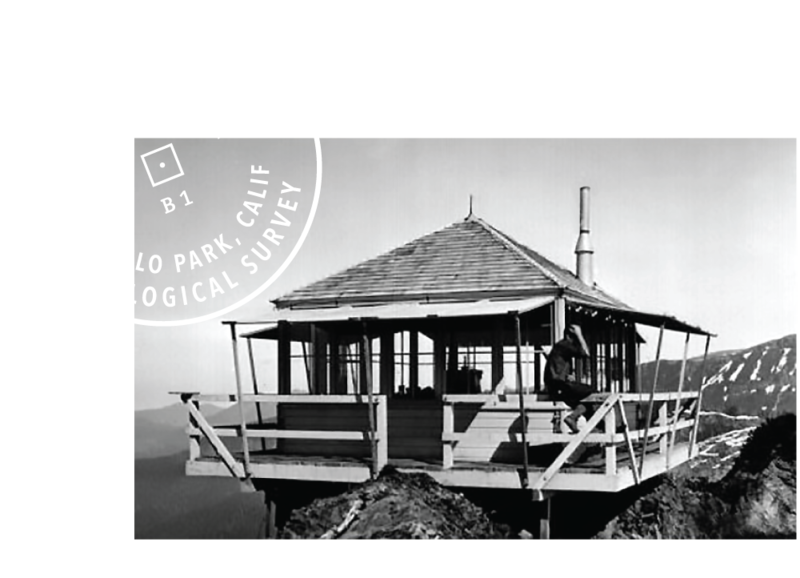 Above: Park Butte Lookout in 1933, the year after it was built. 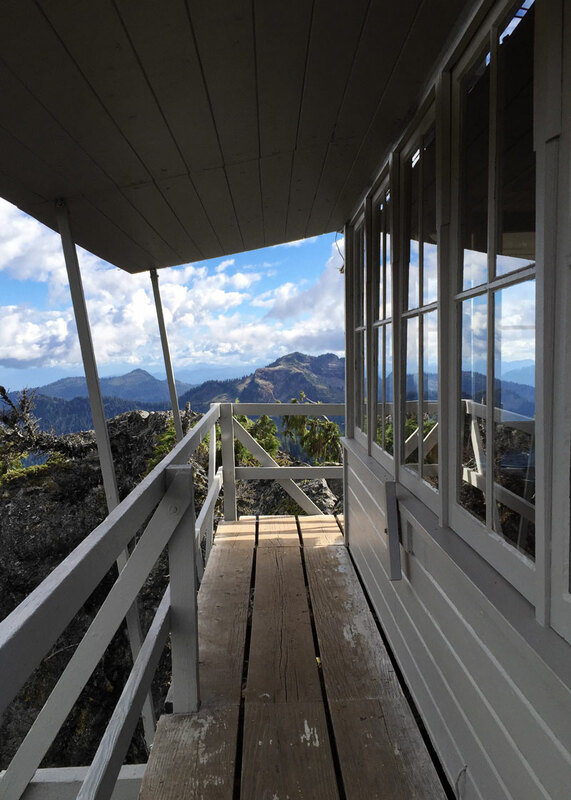 Park Butte Lookout is available for overnight stays on a first-come, first-served basis. Because this is a very popular destination, plan to get there early if you hope to snag the lookout for the night. 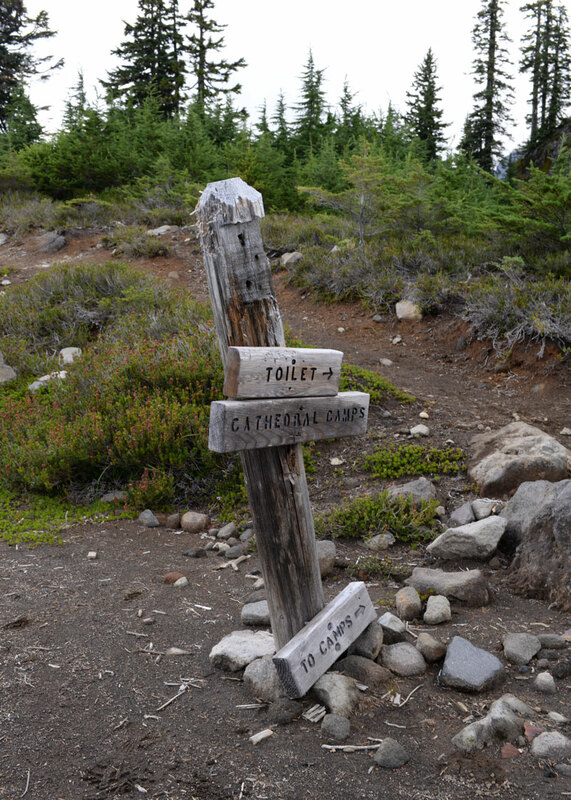 If the lookout is occupied by another party, you can also camp at the Cathedral Camp backcountry campground which is just off the trail about a mile before the lookout. 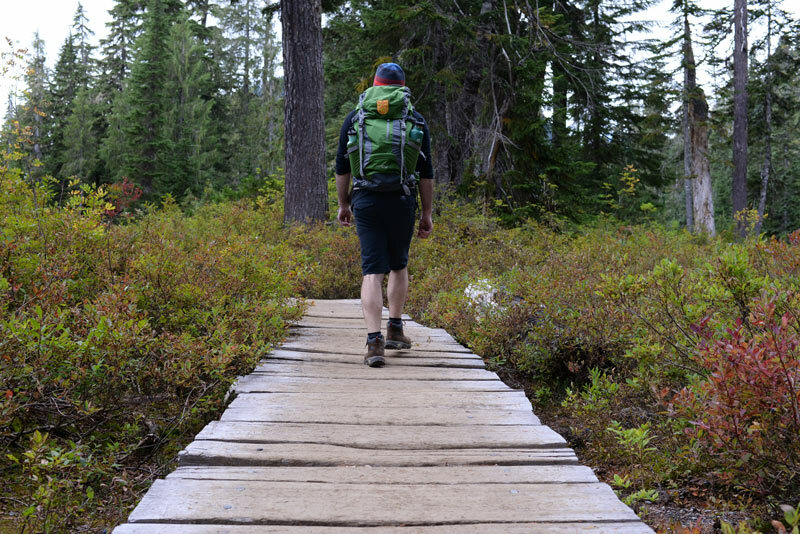 If you hike this trail in the fall, the first half mile has an abundance of wild blueberry bushes. Or maybe they’re huckleberries? I can’t actually tell the difference… But in any event, there are a bunch of them, and they’re delicious! 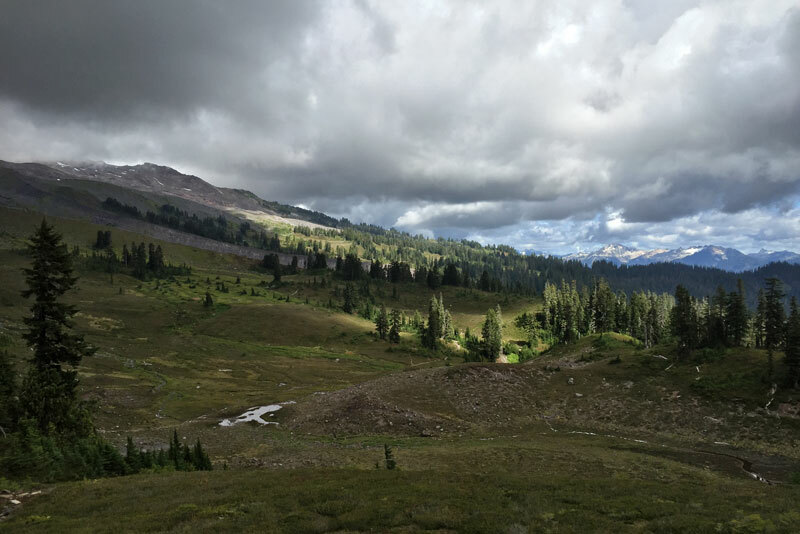 In terms of the hike itself, Park Butte may be my favorite so far. 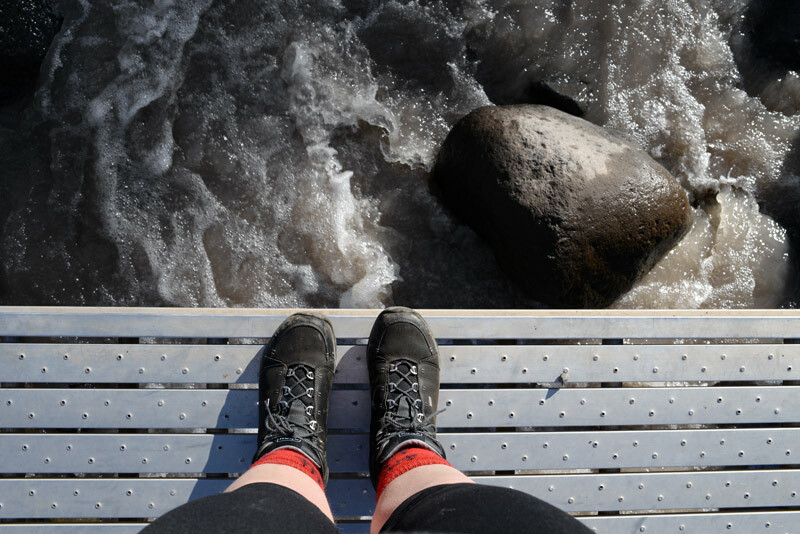 You pass through so many different types of terrain on your way up to the lookout – forest, alpine meadows, rivers, boulder fields – the scenery is always changing, and always so beautiful. My only regret is that Mount Baker was under a cloud the whole time I was there. From Sedro-Woolley, head east on Highway 20 for 17 miles and turn left onto Baker Lake Road (just after mile marker 82). 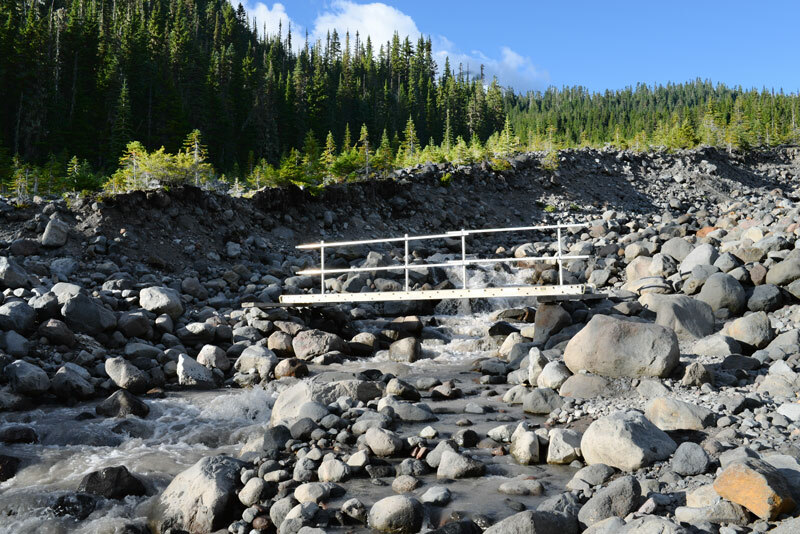 Follow Baker Lake road for 12 miles and take a left onto unmarked NF-12 (first left after crossing the bridge). Go 3.5 miles and take a right onto NF-13. 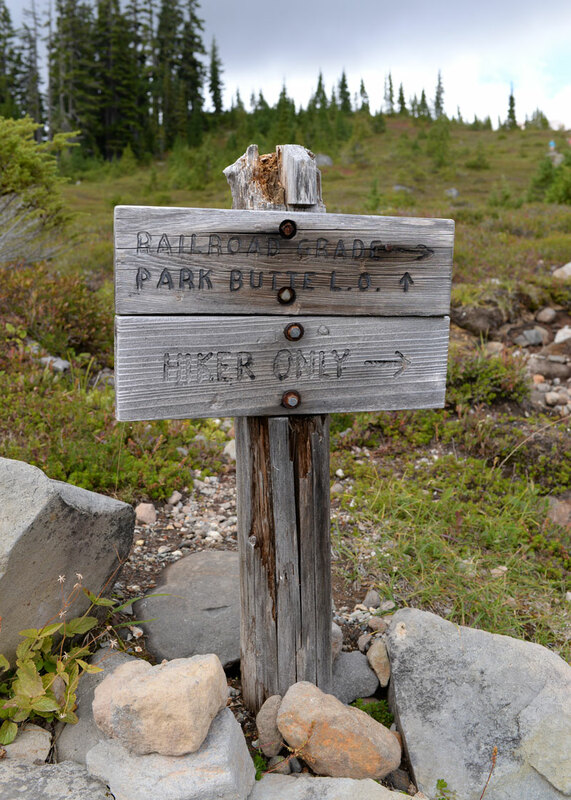 Follow NF-13 for 5.1 miles to the trailhead.